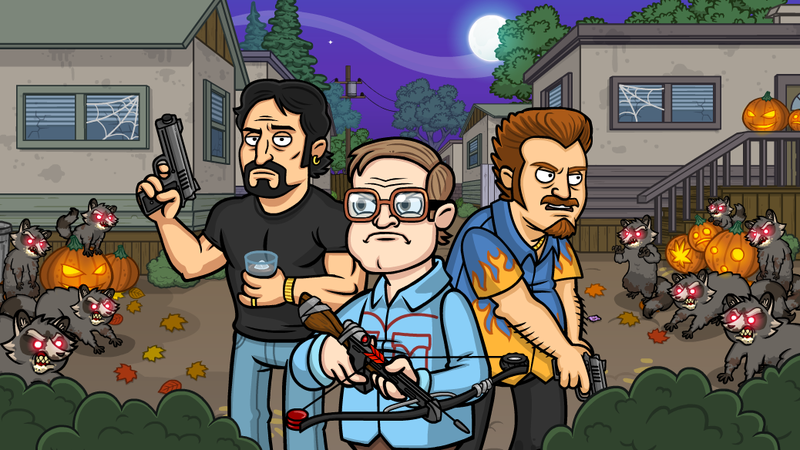 Trailer Park Boys: Greasy Money – Zombie Outbreak Hits Sunnyvale! Get locked and loaded, boys (not too loaded)! 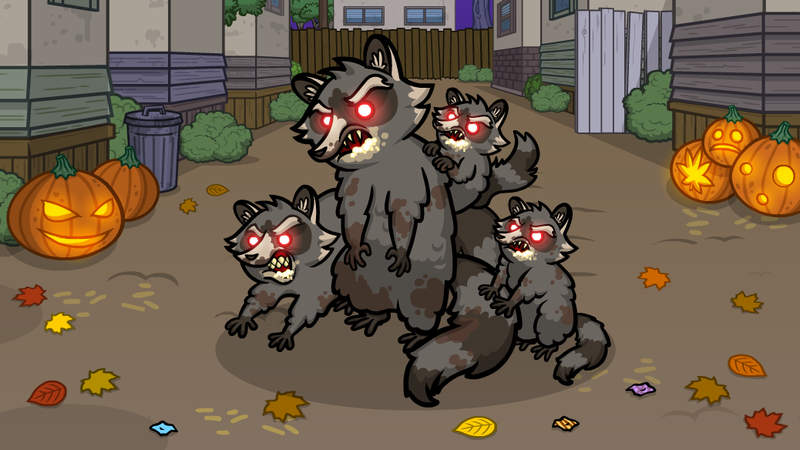 Those greasy raykins are on the loose spreading the zombie plague. Look out for infected residents! The latest event is LIVE for the next four days so it’s survival of the fitness from here on out. Alright, you’ll be collecting brains in this one. Work hard and you’ll leave with an unlockable Raykin and maybe even your life…This frothy-mouthed fur ball boosts profits for your Wrestling Ring. Decent! Zomblys are taking over Sunnyvale! 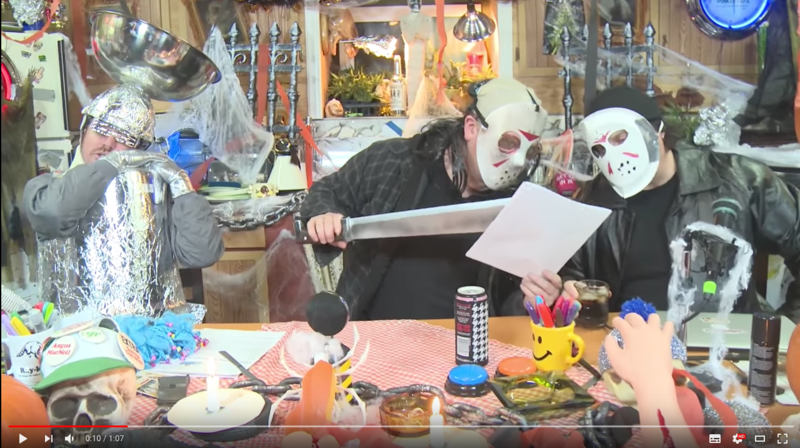 Watch this live action video of Ricky, Bubbles and Julian talk about the Halloween events, happening every Thursday in October! !